The number of frontline officers working in public-sector prisons has fallen over the last year, despite Ministry of Justice plans to recruit additional staff to help respond to the highest levels of violence, suicide and self-injury since recording practices began. Statistics seen by the Howard League for Penal Reform show that there were 14,689 frontline officers (full time equivalent) in England and Wales in June 2016, down from 15,110 a year earlier. This leaves prisons with barely more frontline staff than the lows of 2014, which prompted the Ministry of Justice to embark on a major recruitment exercise. Almost every region has seen frontline officer numbers fall in the last year, with the most significant reductions recorded in the East Midlands (8 per cent), the South West (7 per cent) and the West Midlands (7 per cent). Previous research by the Howard League has shown how prison officer numbers were cut by 30 per cent between 2010 and 2013. Today’s figures indicate that, in spite of the government’s recruitment drive, people remain unwilling to work in prisons under present conditions. While officer numbers fell between June 2013 and June 2016, the prison population across England and Wales rose from 83,796 to 85,130 – putting more pressure on a failing system. Andrew Neilson, Director of Campaigns at the Howard League for Penal Reform, said: “Reducing resources while allowing the prison population to grow unchecked has created a toxic cocktail of violence, death and human misery. These figures show how reductions in staffing and problems in recruiting and retaining new staff are feeding the problems behind bars. “The vast majority of those sent to prison will be released back to the community and so it matters to all of us what happens to people when they are sent to prison. Throwing someone into a raging torrent of violence, drugs and despair is not going to help that person steer away from crime. On the contrary, it will feed more crime and create yet more pressure on the failing prisons. As the prison population has grown and frontline officer numbers have fallen, safety in jails has deteriorated significantly. Ministry of Justice statistics released last month showed that 321 people died in prison custody during the year to the end of June 2016 – an increase of 30 per cent on the previous 12 months. They included 105 people who are thought to have taken their own lives. Reported incidents of self-harm in prisons have risen by 27 per cent in a year. There were 34,586 reported incidents in the 12 months to the end of March 2016 – one every 15 minutes. 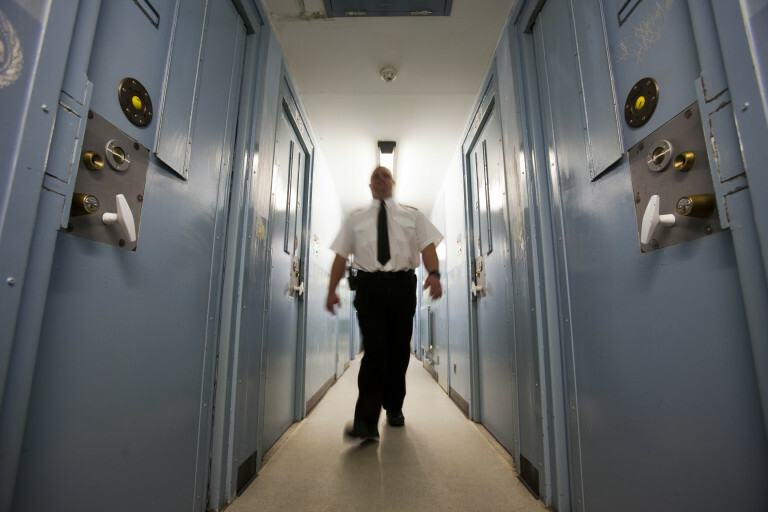 The number of assaults on prison staff has increased by 40 per cent. There were 5,423 incidents during the 12 months to the end of March 2016 – at a rate of almost 15 per day. * Berwyn prison is scheduled to open in 2017. ** Blundeston, Dorchester, Northallerton and Reading prisons were closed in December 2013. *** Hatfield was part of Moorland prison but is now a separate prison. **** Wolds, which had been run by G4S, and Everthorpe, which was publicly run, were merged to form Humber prison. ***** Elmley, Swaleside and Standford Hill were managed as a cluster of three prisons, but this was disbanded in 2014 and they are now run separately. Ministry of Justice prison workforce statistics can be found online. The Howard League has looked at the data for Band 3 to 4 prison officers, the frontline staff working on prison wings. Figures for the years 2013 to 2015 are rounded to the nearest 10. Ministry of Justice prison population statistics can be found online. The Howard League’s 2014 briefing paper, Breaking Point: Understaffing and overcrowding in prisons, can be found online. For more information about how the prison population has grown in England and Wales, visit the Howard League website.